Li Tian "true love" - The Alapin . He has played it since he was a small kid. 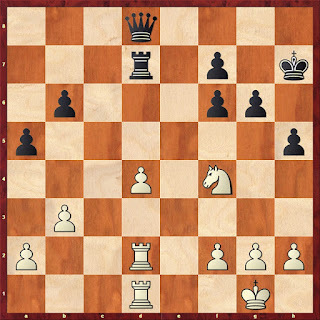 It is debatable whether this is a wise choice because Anand certainly must have look into Li Tian's game in the database. However, sometimes when you have play your pet line for your whole life , you tend to know it forward, backward and side ward too! 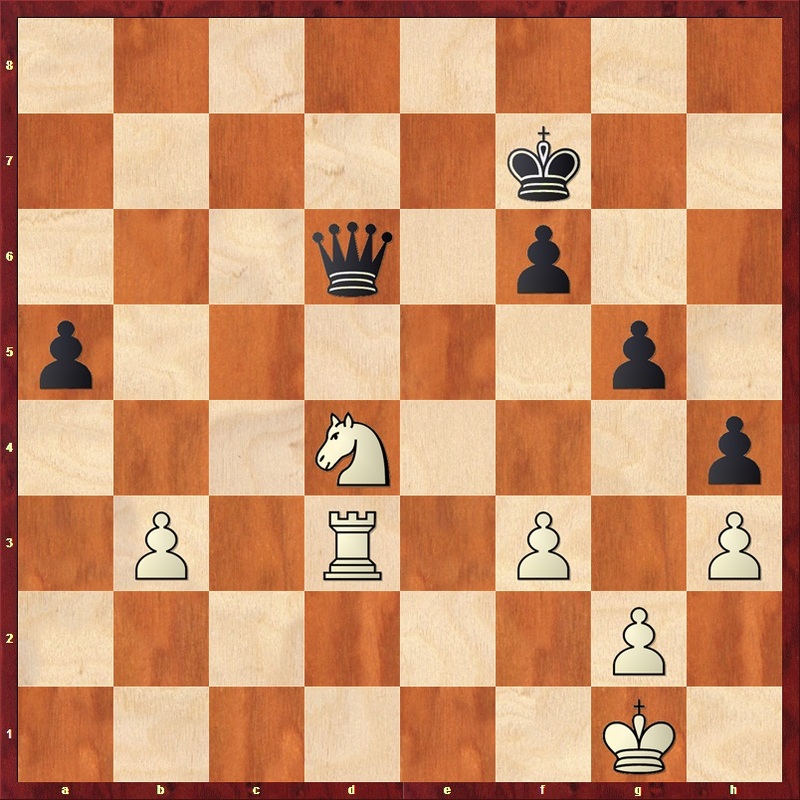 2...d5 3. exd5 Qxd5 4. d4 g6 5. Nf3 Bg7 6. Be2 cxd4 7. cxd4 Nf6 8. The famous isolated d-pawn pawn structure. 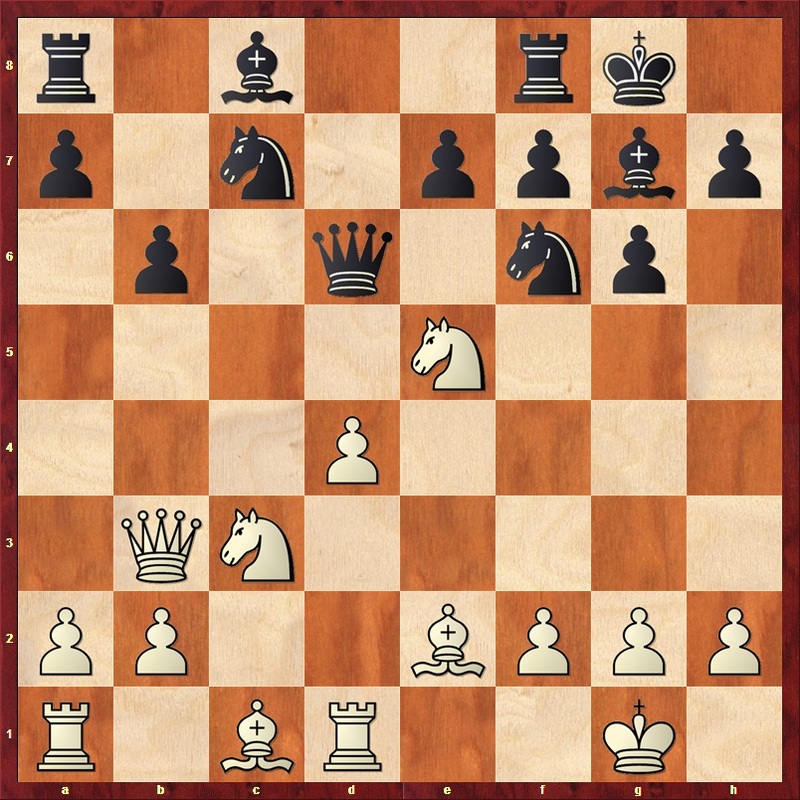 The player with the isoloni have more space and ample opportunity to attack the wings. 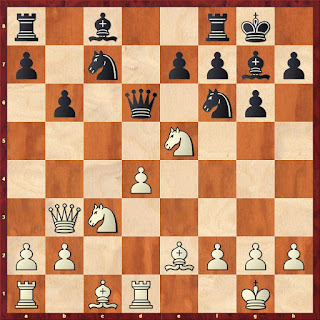 White also has the nice e5 and c5 outpost for his pieces. 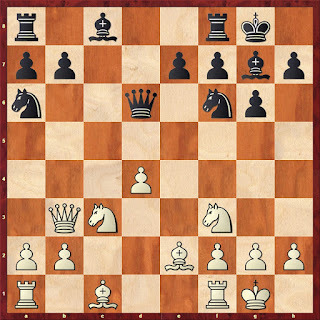 On the other side, to play againts the isoloni, the defending side will try to swap all or most minor pieces and the tripling heavy pieces ( rooks and queen) against the d-pawn. 13. Nc4 Qd8 14. Bf4 Ncd5 15. Nxd5 Nxd5 16. Be5 Be6 17. Qa3 Bh6 18. Ne3 a5 19. Bf3 Ra7 20. 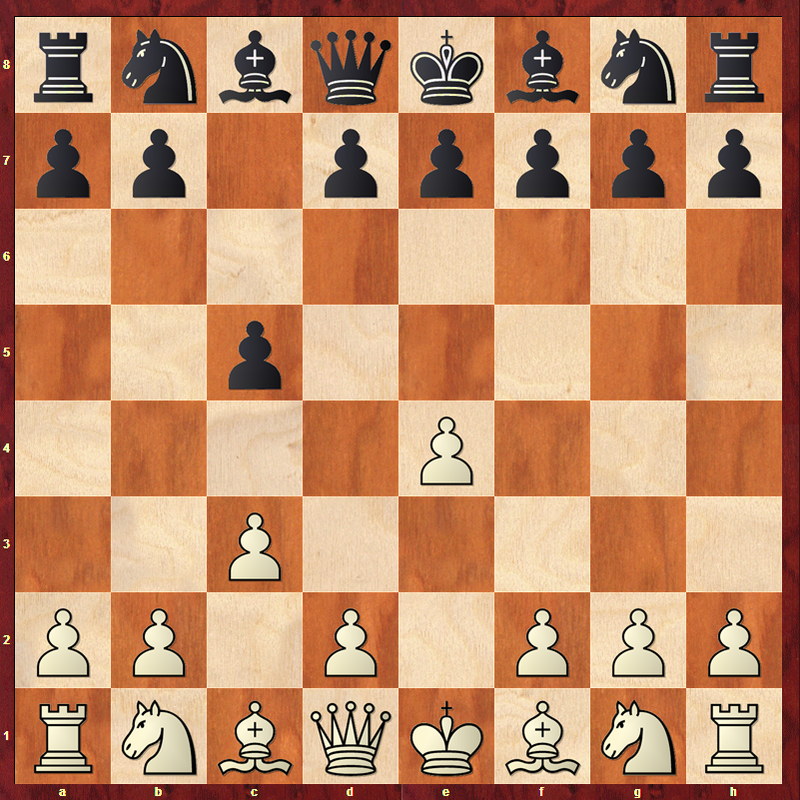 Bxd5 Bxd5 21.Nf5! 21...Bg5 22. Qg3 Bf6 23. Bxf6 ?! 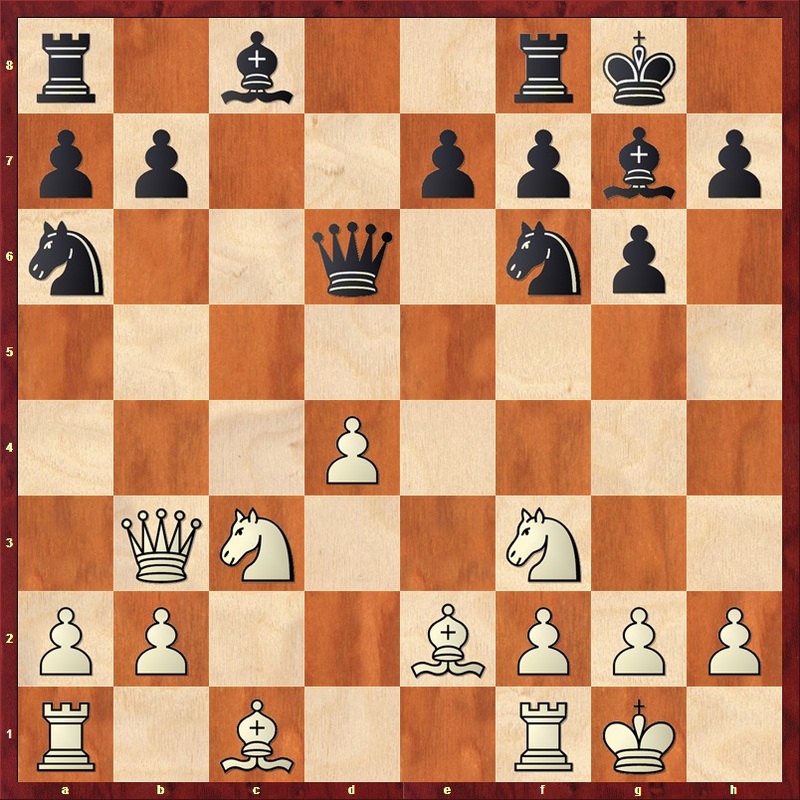 Thislooks like not the correct move. 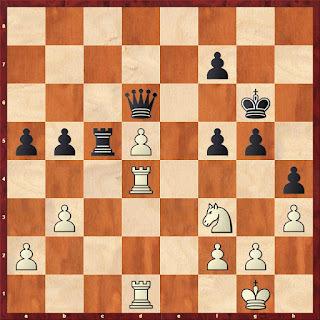 Although white manage to double black's f-pawn, maintaining the tension with 23. Ne3 seems like the correct continuation. 23... exf6 24. Ne3 Rd7 25. Rd2 Re8 26. b3 h5 27. Rad1 Kh7 28. Qf4 i could not understand the idea behind this move but after 28...Re4 29. Nxd5!?! 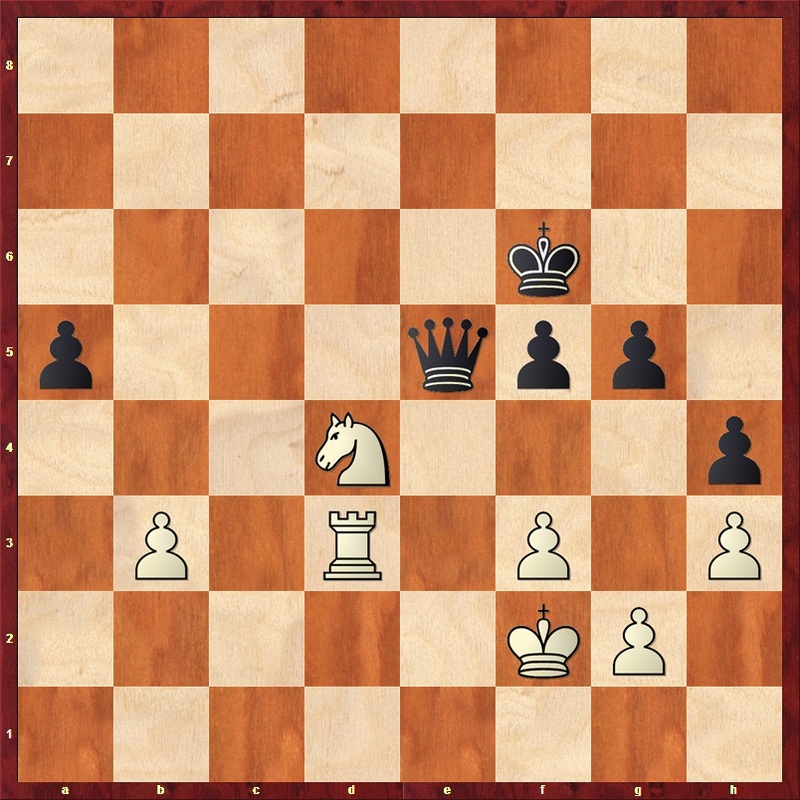 Li Tian sac his queen for knight and rook! now it's clear the idea behind Li Tian's 28th move. He planned to create an imbalances. 29... Rxf4 30. Nxf4 Let looks into the position arise the position. 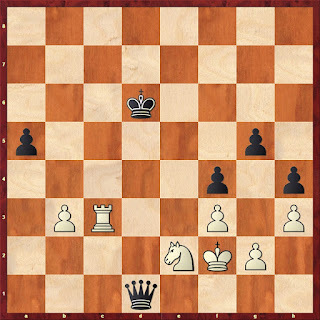 Mathematically black is a pawn up, but chess is not about material only, white has a strong passed d-pawn and will create terrible problem to black if not handle correctly. 39. Nh2 f6 40. 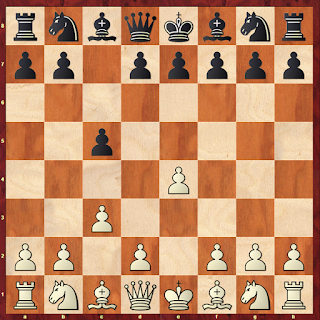 Nf1 Rc2 41. a4 Rc5 42. axb5 Rxb5 43. R1d3 Rc5 44. Ne3 Rc1+ 45. Rd1 Rxd1+ 46. Rxd1 Black manage to trade a rook. Now the d-pawn has lost, white plan is to form a fortress and hope for the best. Seems like white fortress is quite tough to crack. Unfortunately white is in zugzwang and have to surrender the b3 pawn. and White resign. 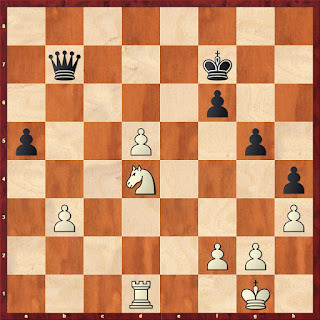 White need to sac his knight to stop the a-pawn. A good try from Li Tian, he surely had his moment on this game especially the powerfull 21. Nf5! Unfortunately a few move later, he made a wrong decision of exchanging the bishop with 23.Bxf6?! 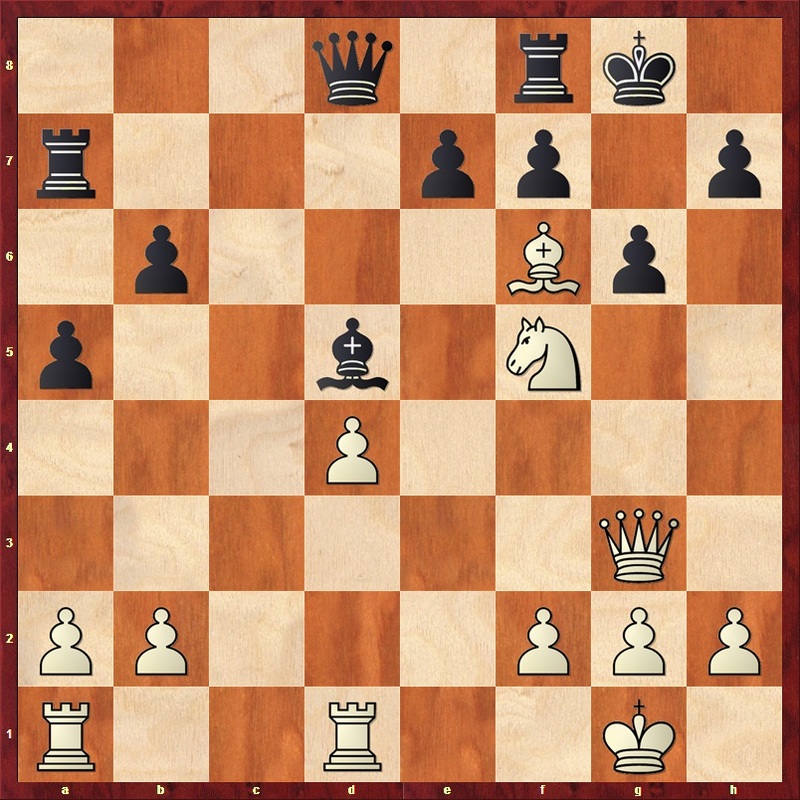 instead of maintaining the tension with 23.Ne3.